Proper surface preparation is important for a long-lasting painted part or durable metal equipment, so at Barnes Manufacturing Services, sandblasting services are often included in custom manufacturing and fabrication projects. Whether you only need sandblasting done for a project you’re working on, or have a product idea that requires design and comprehensive manufacturing, we have the knowledge, experience and equipment to get the job done. 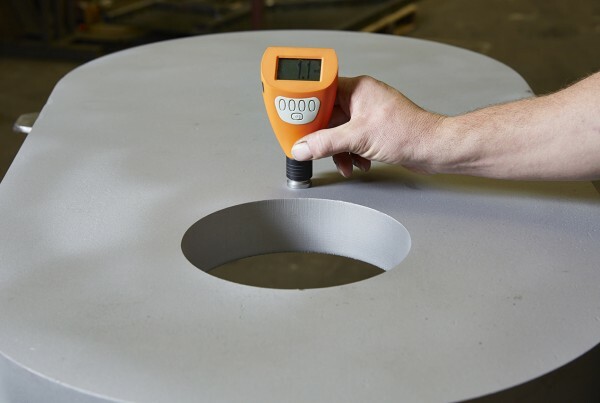 Whether your metal product needs rust removal, cleaning, texturing or we are just preparing the surface for a coat of paint, we can get the job done. No matter where you are in the plastic or metal manufacturing process, our talented staff of designers, machinists, fabricators, welders, painters and assemblers can get the job done. Every client and product gets personalized attention, because we believe that collaboration is the best route to great quality products. From design to delivery, we can plan, prototype and manufacture your product, even if it is still just an idea in your head or a sketch on a piece of paper.